Richard Ashcroft landed in Melbourne yesterday to play his first ever performance in the city. With a new band in tow, The United Nations of Sound, the former Verve front man blasted through a spectacular set list covering his four solo albums and a bunch of Verve classics. From the opening notes of ‘Are You Ready?’ off his latest album ‘RPA and the United Nations of Sound’, the crowd was mesmerised with his unique tone and legendary swagger. While the show began with a heavy dose of new material that the audience seemed unfamiliar with, although more than happy to listen, all up it was hit-heavy. That said, an early slot for ‘Song For The Lovers’ off his 2000 solo debut ‘Alone With Everybody’ went down a treat. 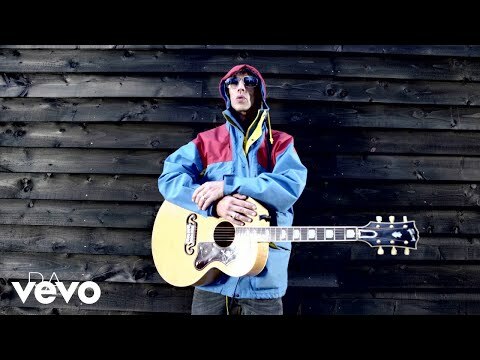 A nice and unexpected surprise was ‘Lonely Soul’ from the UNKLE record ‘Psyence Fiction’, which Ashcroft sang on in 1998. The audience favourites were clearly the Verve helpings from their juggernaut record ‘Urban Hymns’ from 1997. The main set closed with their biggest single ‘Bittersweet Symphony’ and the encore included ‘Sonnet’ and a sublime version of ‘The Drugs Don’t Work’, the latter being difficult to hear over the entire crowd singing along. It was at this point where I can’t help but feel Ashcroft would have benefitted from quitting while he was ahead. It is hard to tell an artist the crowd really wanted the hits, especially an artist who’s new material went down well for the most part, but when ‘The Drugs Don’t Work’ set the bar so high, he had nowhere to go. All up, an incredible live show from an incredible talent.